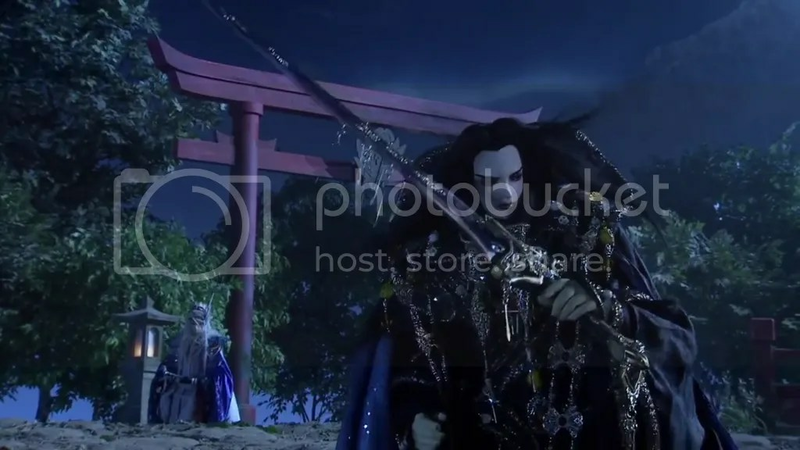 To start with, this is not meant to be something like a review paying attention to every aspect of Thunderbolt Fantasy but just as some (random) thoughts that have crystallized after the watching of the show. Well, if you at least sometimes check the news of the anime world, I think it was nearly impossible for you not to notice a strange creation that has appeared out of nowhere and has become quite popular even if now the talks about it are not that prevalent anymore. 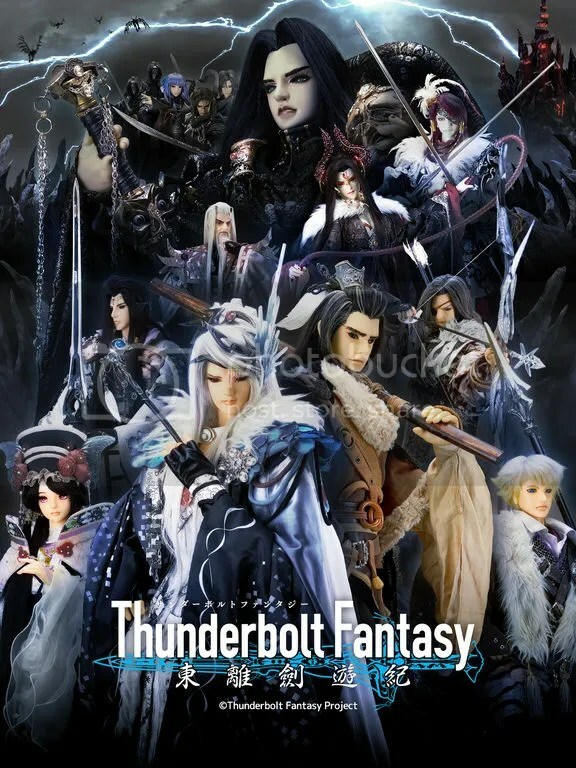 Thunderbolt Fantasy technically isn’t an anime but nonetheless share many similarities with the medium. The show basically can be summarized with two words – “puppets” and “Urobuchi”. If that doesn’t intrigue you, I don’t know what will. To start from the very beginning, the puppets came into being in China some hundreds of years ago and spread in the area. The trend reached Taiwan and that’s where the show’s origin lies. A studio called Pili has made such puppets for some time now and it just happened that many of the staff are not indifferent to anime in general. That’s were the second part of the equation comes in – Gen Urobuchi (well, everyone knows who the guy is – Fate/Zero and Madoca Magica speak for themselves) was impressed by the artistic possibilities that the puppets may provide so it was fairly natural for the two parties to come together and do something. The anime-ish side of the show was also bolstered by the composer – Hiroyuki Sawano, best known for Attack on Titan, who agreed to write a score, but frankly I don’t think it was one of his better works – too many reused themes with too little impact. 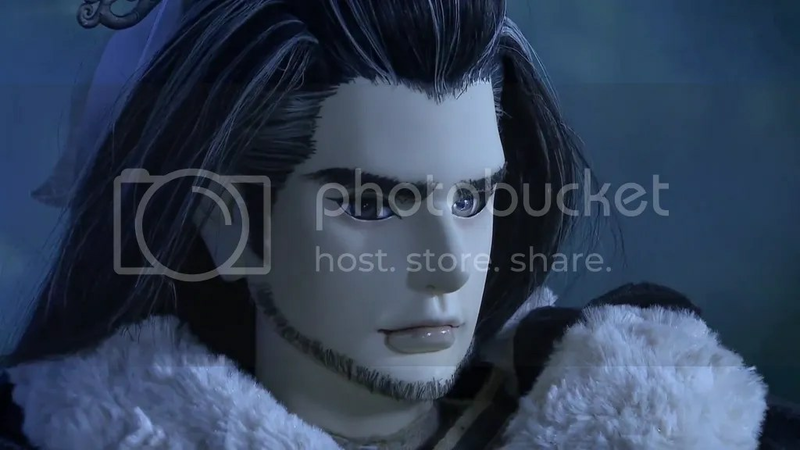 Well, Urobuchi is Urobuchi but for someone who has already savored his style and probably is not unconditionally head over heels about it the main selling point of Thunderbolt Fantasy is the visuals. To a person who is accustomed to watching anime or live action stuff puppets may look very weird. Still, there’s grace and artistry in everything that is done with them. A wooden puppet is made hollow so a puppeteer can mount it on his right hand and with it move the puppet’s whole body, some limited facial expressions included. With his left hand the puppeteer controls the puppet’s left hand so it’s no wonder that all the puppets are left handed and use it with great dexterity. Well, you may say, what about the stunts? 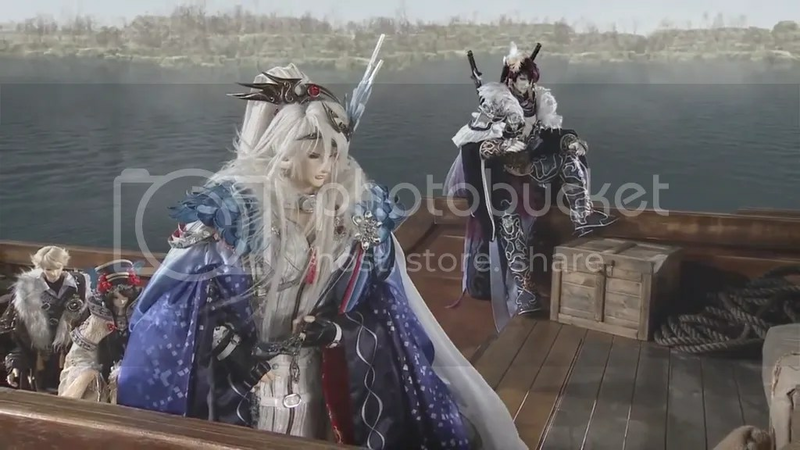 There have been scenes in Thunderbolt Fantasy when characters were jumping, falling or just moving in a way that couldn’t been done sitting on a puppeteer’s hand. The answer to that is stunt doubles. Yes, the puppets as normal actors do, did have them. Sounds weird but it’s only natural that a different medium encounters different problems and finds some ways to deal with them. The sets also need to be mentioned. Every smallest prop was handmade and you can probably imagine how much work needed to be done to have a decent looking banana on a decent looking table that would be used just for one scene only. The details, given the amount of hard work that needed to be done are amazing. 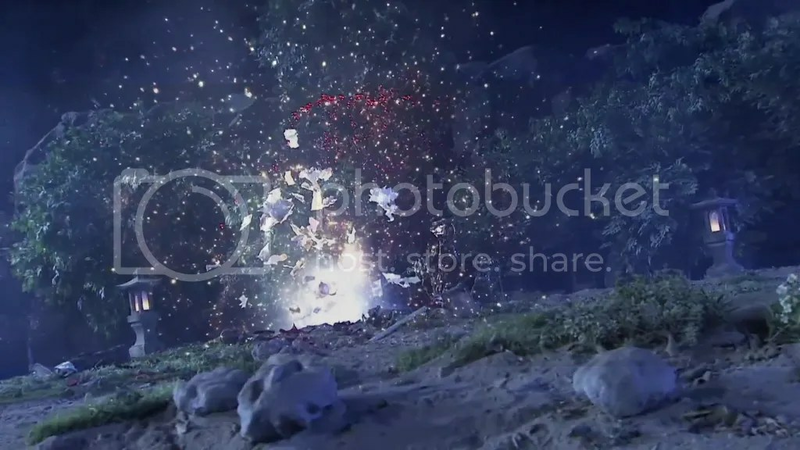 Of course, as you can see from the first episode and maybe the last, some CG effects were added. The rate of usage of CG never was that high compared to the first episode but some credit must be given to the creators because the effects look fairly organic with the world they appear in. The comparative sparseness of CG lets other aspects of the show to shine – for example the dust that sometimes appeared and many other effects were strictly practical, which on its own is fairly astounding. The visuals can’t be discussed without mentioning the appearance of the puppets themselves. I can’t possibly stress enough how beautifully they are made – every piece of cloth and accessory is polished to the level of brilliance. Every puppet by itself can be easily treated as a piece of art – take for example those wooden heads – each carved with an amazing precision. Sure, some time is needed to get accustomed to the typical movements of the puppets but after that it’s only a joy to watch. At first it was quite difficult not to notice some critical differences between the puppets and anime characters. Well, it sounds dumb since the puppets are real while anime characters are drawn, but let’s compare other differences beyond that. In anime the animators use every possible trick to make the characters move as little as possible and in this way save lots of work needed for the animation. The puppets on the other hand don’t have this in-built limitation – during every conversation they gesticulate very expressively and move much more than you imagine a real person would do. Exaggeration of movements may look odd but after a time you begin to wonder how these wooden pieces of art manage not only look good but also to be so versatile and use every opportunity to show that. Versatility is a good thing but it’s also limited in a way. A puppeteer just can’t move everything and that ends up being the immovability of the lips of the characters. Yes, the lips can move up and down but certainly not at the frequency a normal person would do. Also, the lips look exceptionally huge, almost swollen. Oh well. So there you have it – the characters that move excessively while their lips barely manage to go up and down. The eyes are only able to blink from time to time compared to the huge variety of anime eye expressions. After so many words of praise about a visuals it seems almost inappropriate to mention that in some cases things were too flamboyant for their own good – the mystical sword that is the center of the story looks like the least practical weapon anyone could have imagined. Continuing the thought about the lips, the aspect of language need to be touched. As the company Pili who created the show is Taiwanese, the original language of the show was Chinese and that means Chinese names and stuff. Of course, there was a Japanese dub made after that but one problem was still left and that is names. The mythology of the show allows the characters to have multiple names, all more similar to epithets of the personalities and deeds of the characters than some actual names. But the real problem for me was that I watched Thunderbolt Fantasy on Crunchyroll. There the Japanese dub was used and subtitles were English but oh boy what they did with the names… The dub used the names translated to the Japanese while the subtitles only transcribed the Chinese ones. Well, I’m not even able to read some of the symbols the transcription used and to hear some word, completely different sounding from a written one, was just too much for me. Well, I just ended up learning hardly any names of the characters. To be frank, that wasn’t an issue I couldn’t cope with after all since the story itself wasn’t anything special and I doubt I would have started watching Thunderbolt Fantasy if it were made into an anime. You have a set of pretty ordinary characters – a hero, a heroine, a plotting mastermind whose allegiances aren’t clear, a demon (basically a witch), a bunch from Fate/Stay Night (Archer, Lancer and Assassin) and a villain (with some lackeys) that looks so cool as if to turn any possible male opponent gay. Almost every character is made to be of some use to the story but after all I feel like it was a bit too much of them. Much of the narrative could have been condensed, some of the cast just erased and the time left spent exploring the world. The world certainly looks organic and interesting, having its own history, magic, wars, mysteries… Well, everything that would have been a very enjoyable thing to see more of, especially since the creators are so good at building the environments. The only excuse I could think of is that of course everyone just wanted to show what they are most capable of – as many diverse puppets as possible. The ending seems a bit lacking. Yes, it’s the journey that counts but I would have liked something akin to a climax and not just casually dealing with a final boss in a surprisingly brief battle, even if the story to reach that stage required the whole season. Well, of course opening your Unlimited Blade Works stash ends things quickly but the feeling of fulfillment there has no place. Some traits of the characters and elements of the story speak of a rather mature series, but Thunderbolt Fantasy manages to negate that with shounen-esque special attacks (with their names shouted to the wide world, how else?). Also, sometimes the story would just stop in order for the characters to talk. I wouldn’t call it strictly info-dumping but some scenes would drag for a very long time with nothing happening. However if you are able to withstand that, the fighting segments prove to be very rewarding. If you remove the visuals, the show remains very Urobuchi like – with uncertain loyalties, mysterious characters and the plot that can change drastically any moment. Sometimes even the Urobuchi-layer seems too thin to be able to carry the story. Luckily the visuals are always here to mask any flaws. To be frank, that’s one of those shows that requires your brains to leave some things unnoticed but if you’re able to do that, it’s a real feast for eyes – the technical aspects are amazingly stunning. So yeah. I think it’s beneficial for anyone to watch at least the first episode of Thunderbolt Fantasy – at least to be able to grasp how many beautiful things are possible to be made. 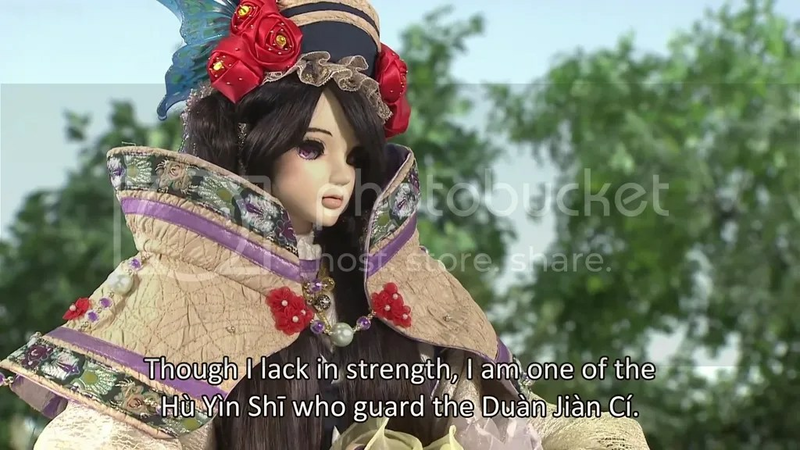 To some the fact that it’s a puppet show and not an anime might be a huge turn off but I think that Thunderbolt Fantasy in its essence isn’t that different from the mainstream anime. If you can deal with, say, differences of the style of Masaaki Yuasa compared to any other creator’s, this show shouldn’t be a big problem. By the way, the 2nd season is already announced so now is as good time as ever to sample some unconventional art.